after working for over 10 years in Community Rehabilitation with Alfred Health and previously with Monash Health. During her time within community rehabilitation, Kelly worked with adults of all ages to support them to achieve their rehabilitation goals. 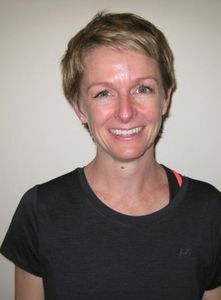 Kelly is experienced in neurological, vestibular, orthopaedic and musculoskeletal physiotherapy. Kelly is committed to providing high standard, innovative physiotherapy treatment to support people in their rehabilitation journey. She is passionate about understanding people and about tailoring treatment to the needs of the person. Kelly has completed recent courses in Clinical Pilates and Aquatic Physiotherapy and is excited to have the opportunity to use these treatment options to maximise rehabilitation outcomes. Kelly grew up in regional Victoria and is excited to have moved to Warragul with her young family to enjoy the benefits of rural life and to get involved with the local community. She loves exploring, bushwalking, camping, and is looking forward to developing some skills in gardening with the move to Gippsland! Kelly is thrilled to join the Through Life Physiotherapy team, and to have the opportunity to further develop her clinical skills with a practice that is committed to providing excellent services for the local community.